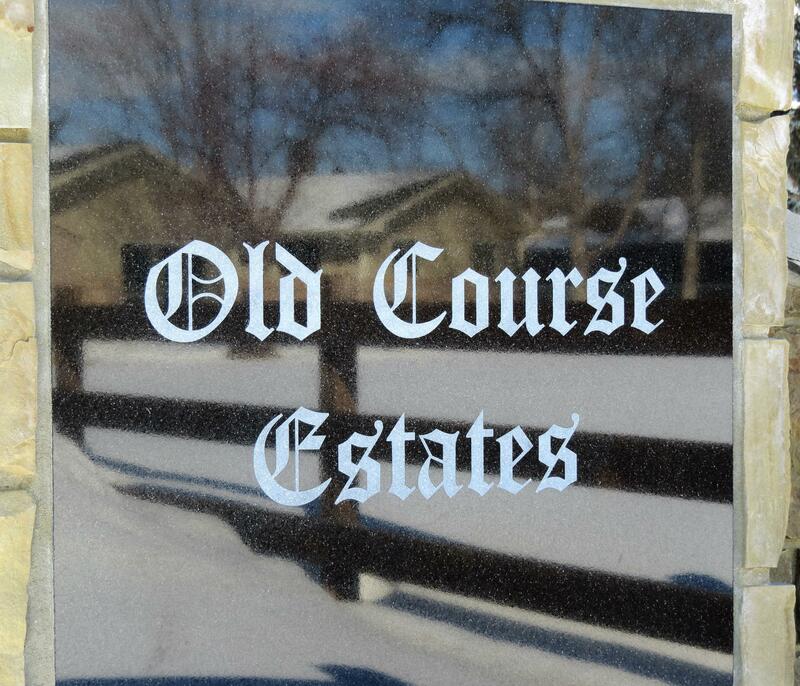 Here is your opportunity for country living just right outside of town! One of the finest developments in the Buffalo area. 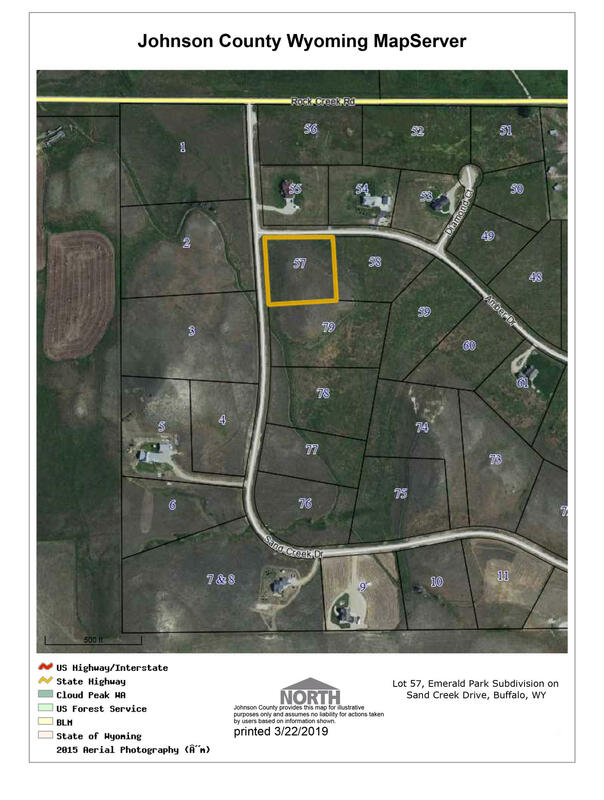 Lot sizes ranging form 2.7 acres up to over 7 acres. This area is horse friendly (see covenants). Some of the amenities include natural gas, paved roads and great views. 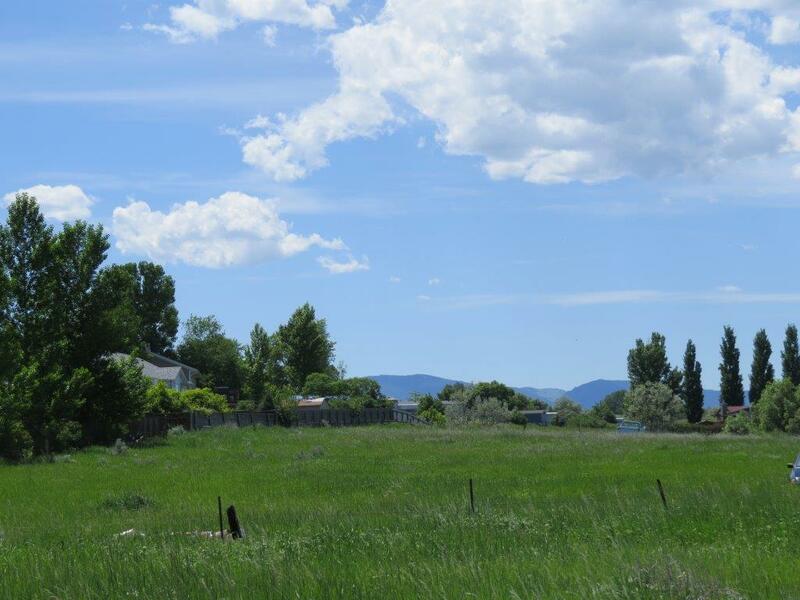 Large building site with mountain views and room to build your dream home. SAWS water and natural gas available at the from of lot. 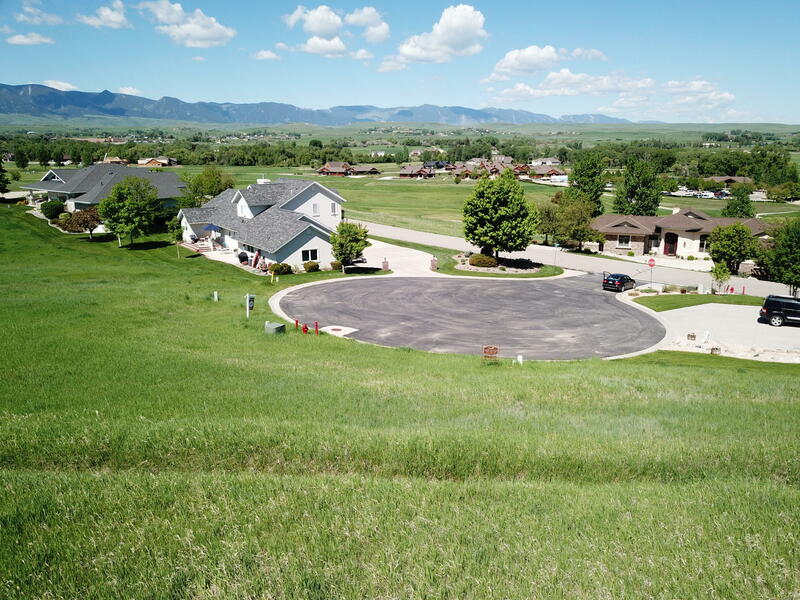 If you love the beauty and small town feel of historic Big Horn, nestled at the base of the Big Horn Mountains, with the benefit of the amenities of Sheridan close by, this subdivision might be the perfect balance of elbow room and convenience all in one. These building sites have beautiful views, mature trees and a creek nearby. Sheridan is growing, and this is your opportunity to take advantage! 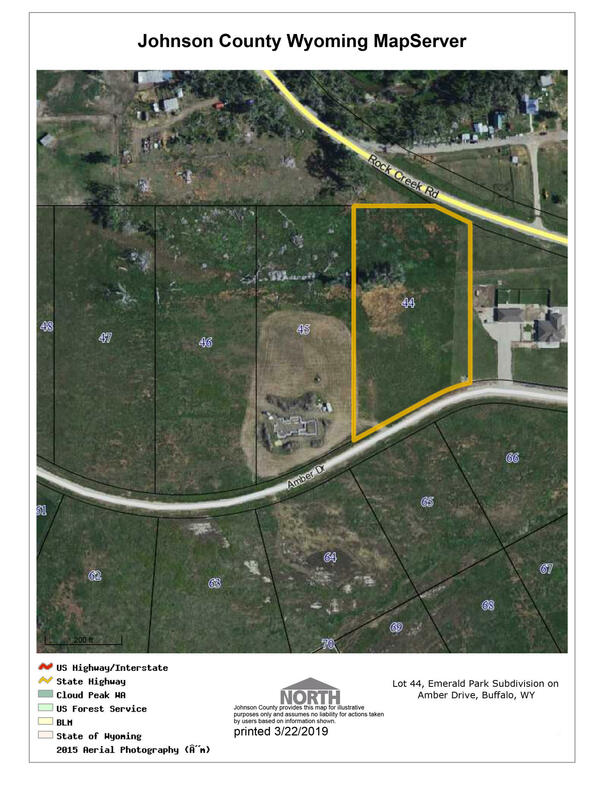 This 3.6 acre development opportunity includes 32 lots and sits right on the city/county border. The majority of the land sits above West 16th Street with clear views of Fort Mackenzie VA grounds. 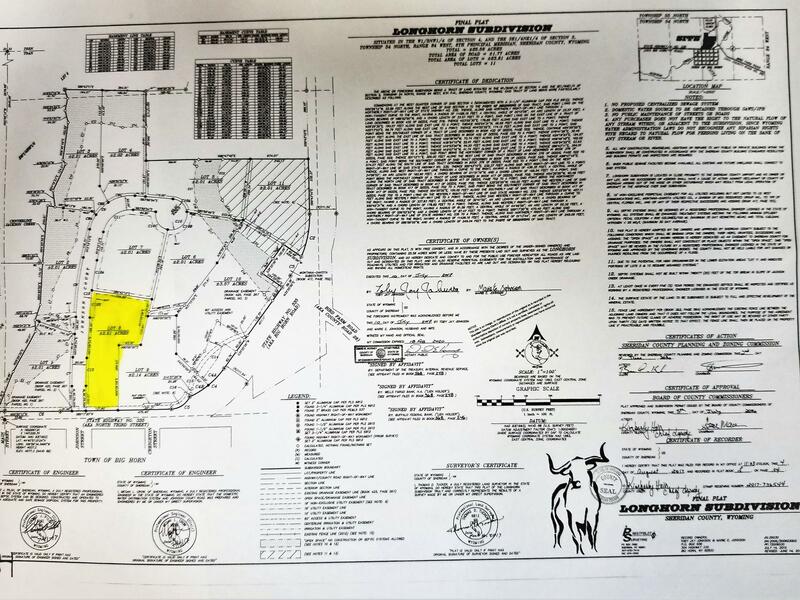 Land has an existing water tap marked and a fire hydrant. 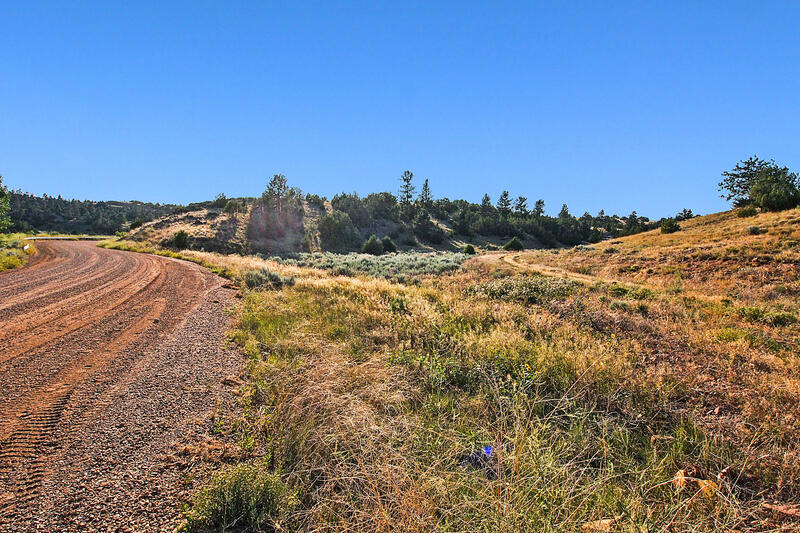 Beautiful Lot #69 with several building sites that take in the views of the lake and the Big Horn Mountains. 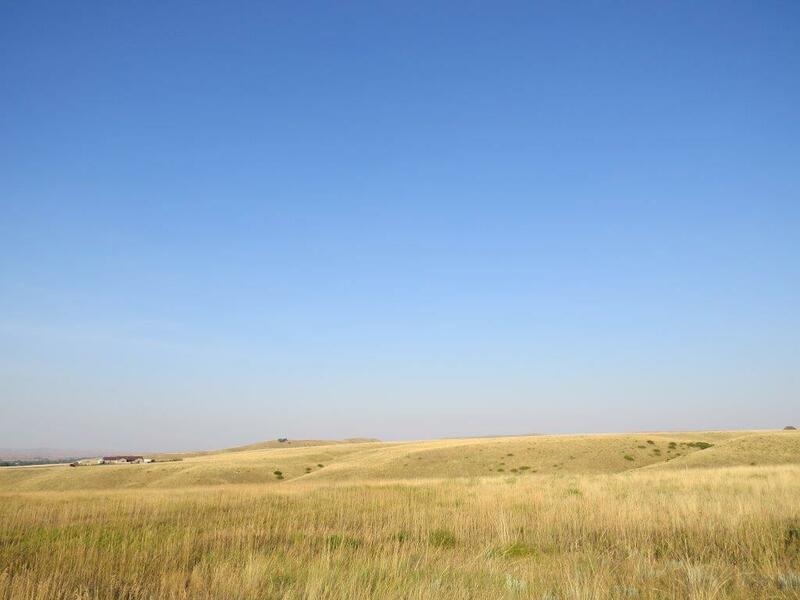 Where in Wyoming can you get 4.71 acres with these kinds of views that has natural gas, electricity, community water and VIEWS!?! Wildlife surrounds this lake with greenbelt areas exclusively for residents of The Shores. Easy access to Buffalo and Sheridan. Over a 1/2 acre lot located in a quiet cul-de-sac. 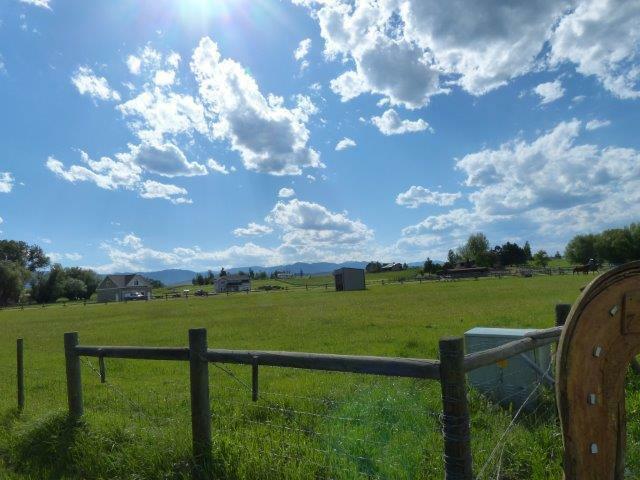 Enjoy gorgeous views of The Big Horn Mountains and The Powder Horn Golf Course from this large lot. Great Views! 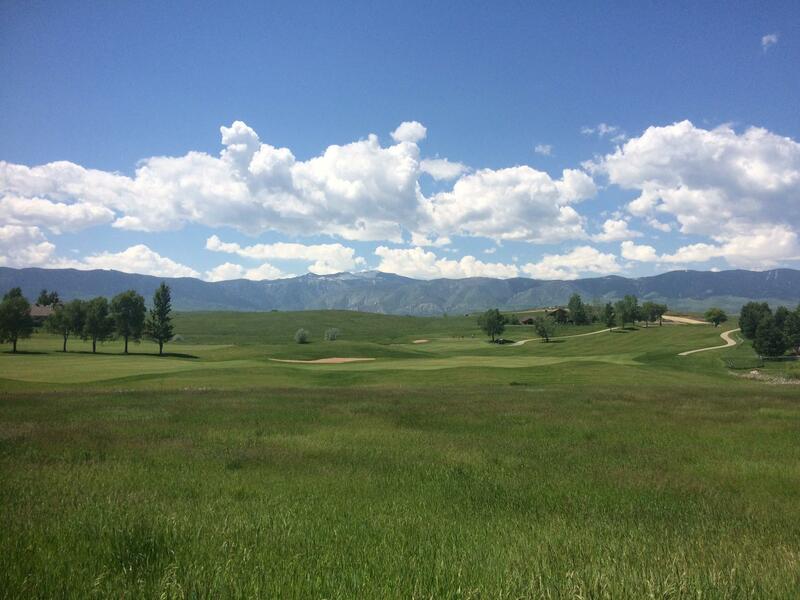 Lot overlooks Mountain 5 & 6 Fairways and other Powder Horn course features. 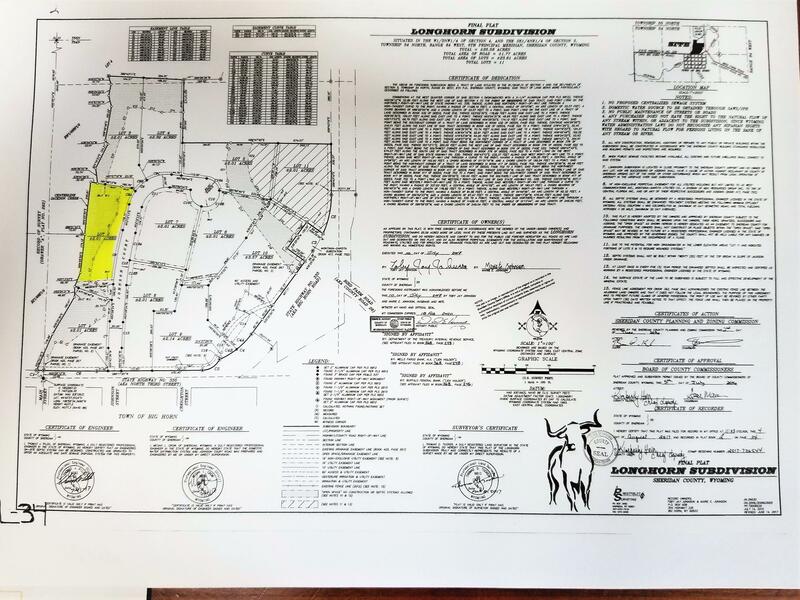 Seller has already conducted a soil test, which is available with a accepted offer. Looking for your dream spot to build your dream home? Look no further! 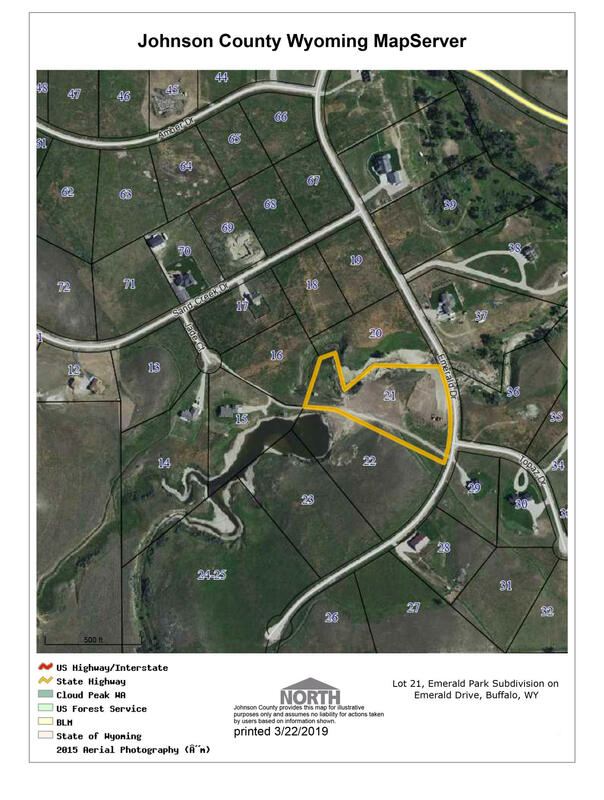 This beautiful 2 acre site is perfect. 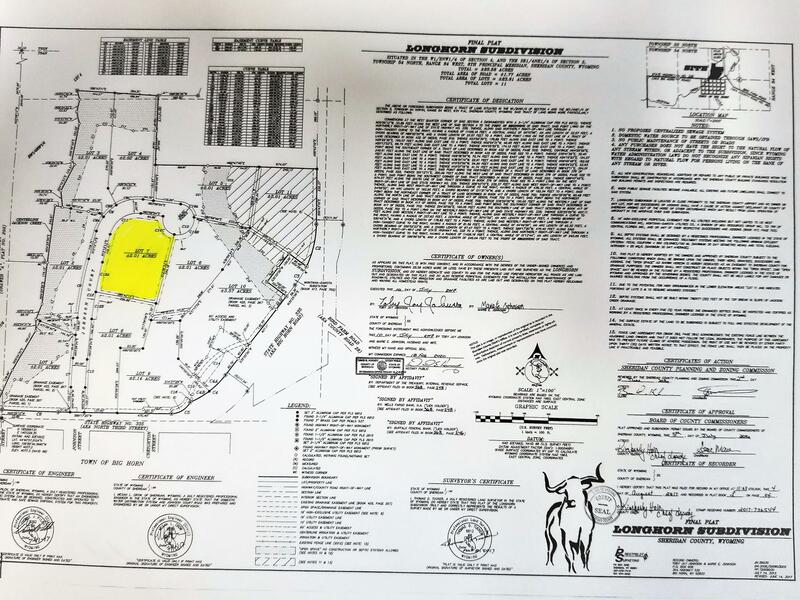 Situated in the Old Course Way Subdivision, this spot has views of the Bighorn Mountains, gated entrance, tap fees paid, Geotech and survey done and potential house plan available. Spring is right around the corner and your dream home could be started very soon. 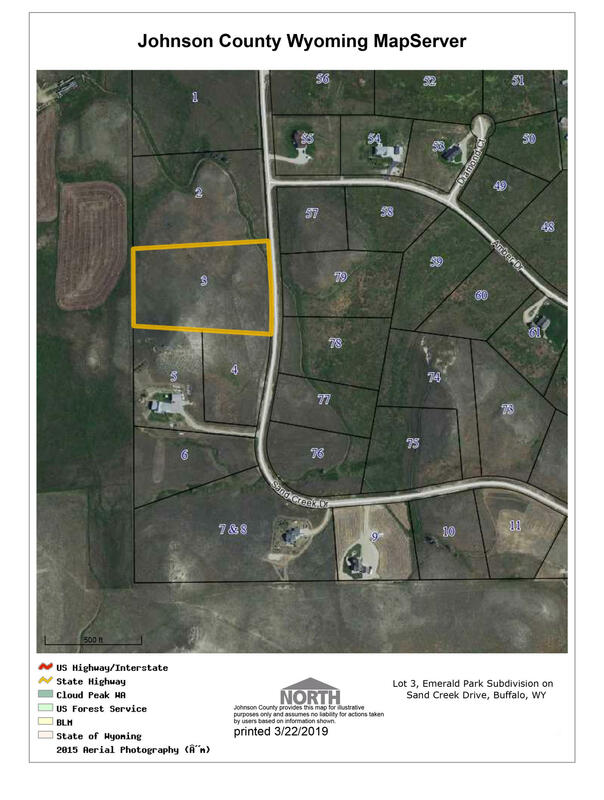 Unique opportunity to own this choice lot in the prime ''M'' section of The Powder Horn Golf Community. 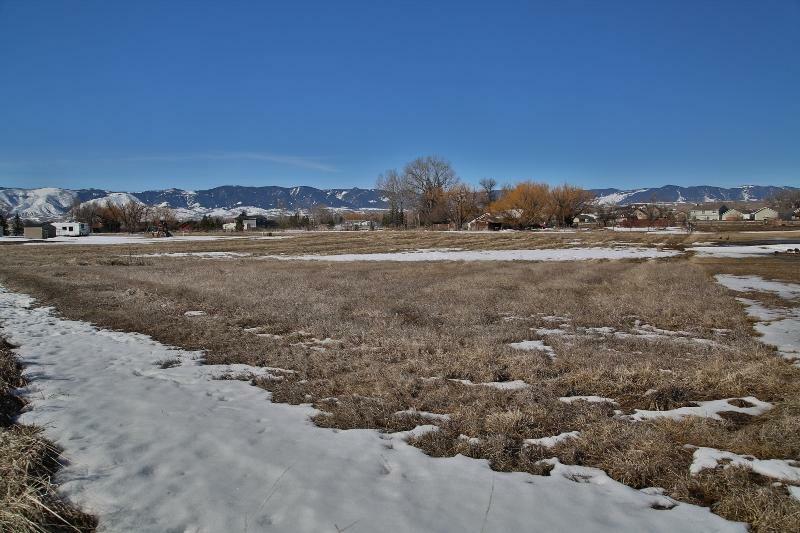 Stunning views of the Big Horn Mountains, golf course, and a pond from the back and hills and greenery from the front across Canyon View Drive. 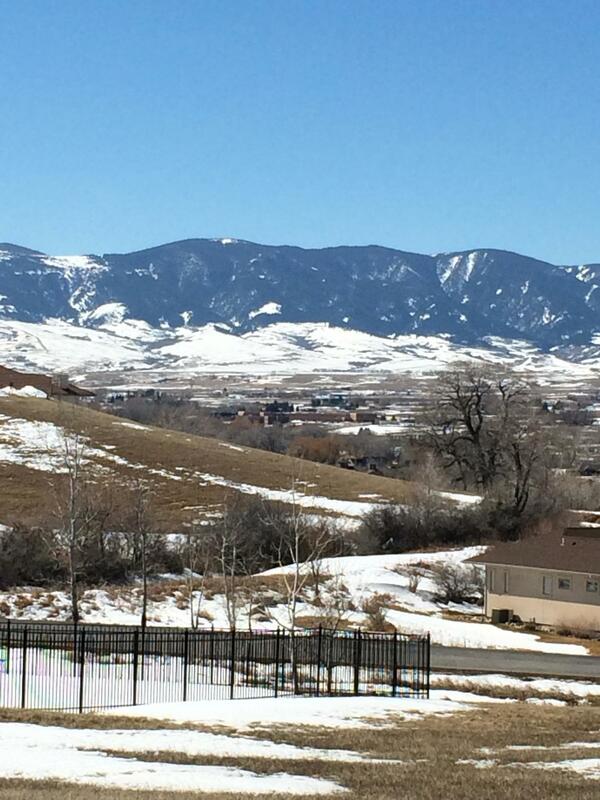 Few lots in The Powder Horn have unobstructed views from the front and back of both sunrises and sunsets. Amazing visibility for your business! 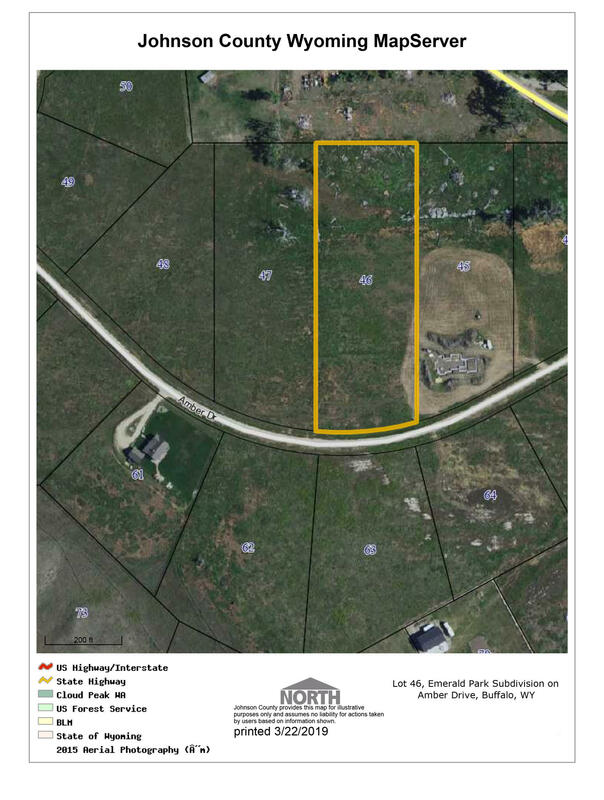 Located on east 5th street and less than A1/4 mile from Interstate 90, this shovel-ready 3.5 acre B1 lot offers incredible mountain views and has available: public water, public sewer, natural gas, and electric. Amazing visibility for your business! 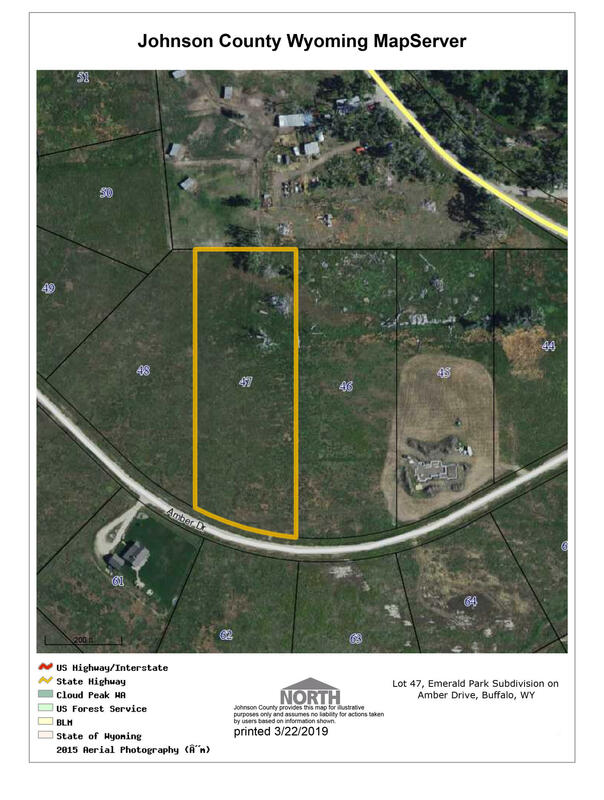 Located on east 5th street and less than 1/4 mile from Interstate 90, this shovel-ready 3.03 acre B1 lot offers incredible mountain views and has available: public water, public sewer, natural gas, and electric. Amazing visibility for your business! 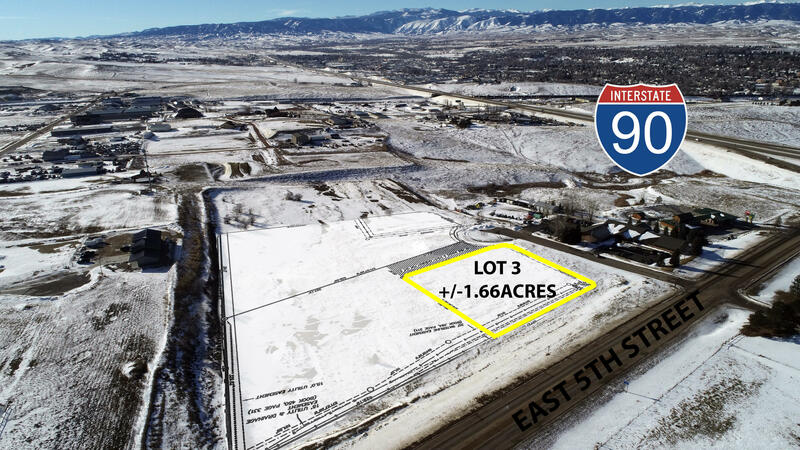 Located on east 5th street and less than A1/4 mile from an Interstate 90 off ramp, this shovel-ready 1.66 acre B1 lot offers incredible mountain views and has available: public water, public sewer, natural gas, and electric. 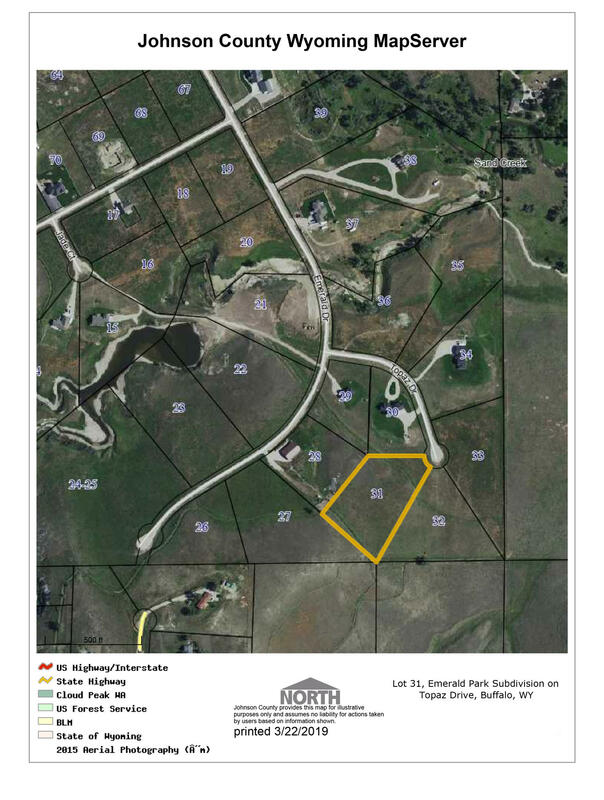 9.454 deeded acres located at Cormorant Bay - Tongue River Reservoir. Wonderful building site to build your cabin overlooking Tongue River Reservoir. 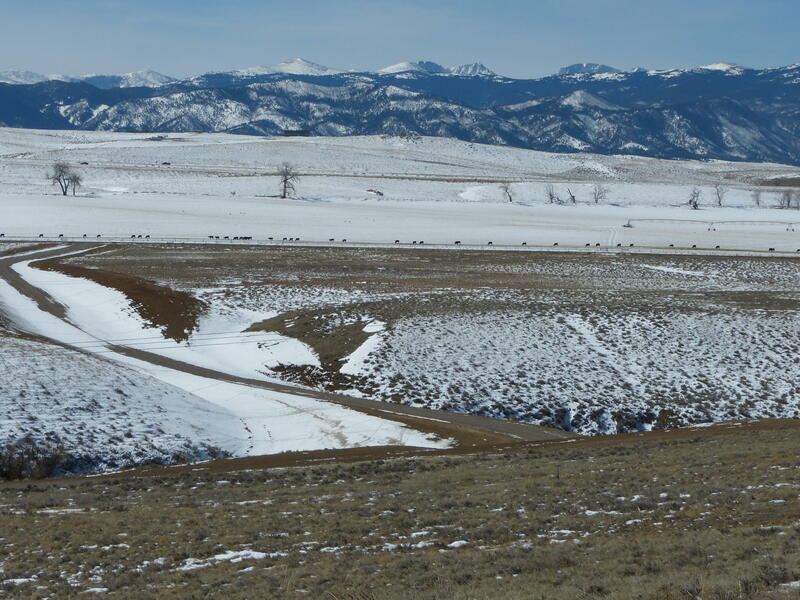 12-mile-long reservoir set in the scenic red shale and juniper canyons and open prairies of Southeastern, MT. As an owner of this lot you will enjoy excellent boating and fishing. Seller reserves the right to complete a 1031 Exchange transaction. 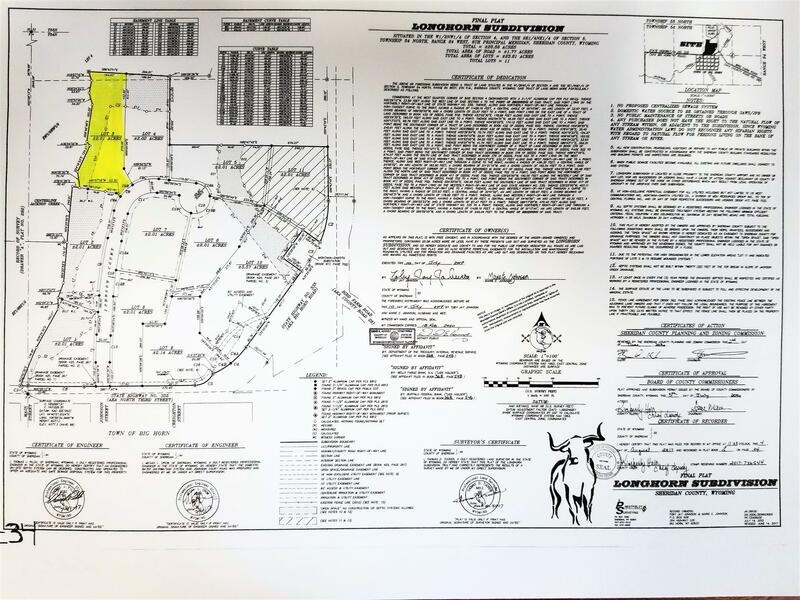 5.012 deeded acres located at Cormorant Bay - Tongue River Reservoir. Wonderful building site to build your cabin overlooking Tongue River Reservoir. 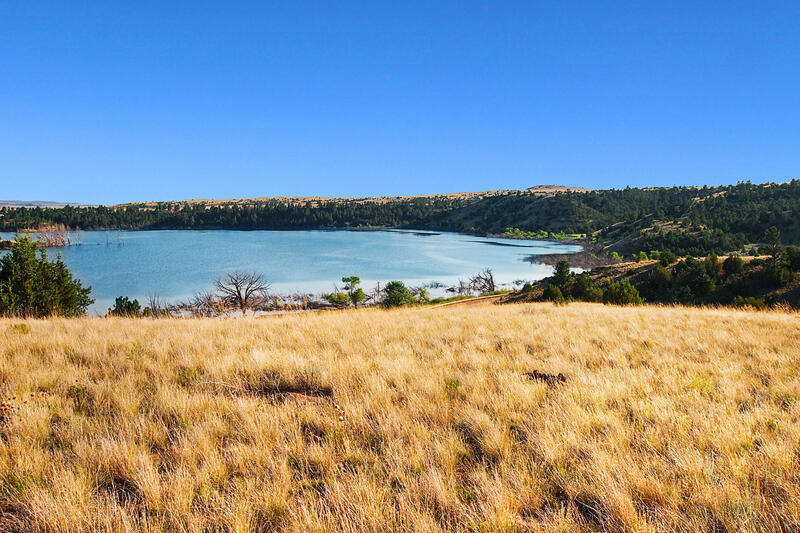 12-mile-long reservoir set in the scenic red shale and juniper canyons and open prairies of Southeastern, Montana. As an owner of this lot you will enjoy excellent boating & fishing. All measurements are approximate. 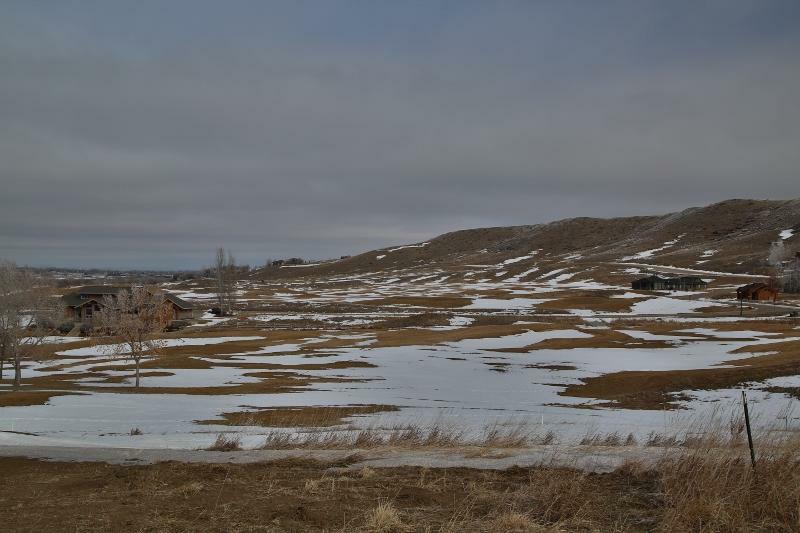 This building site on the outskirts of beautiful Dayton, WY boasts almost 10 acres with a flat building envelope ready to build the home of your dreams. There is electricity, telephone and water available from the town of Dayton. 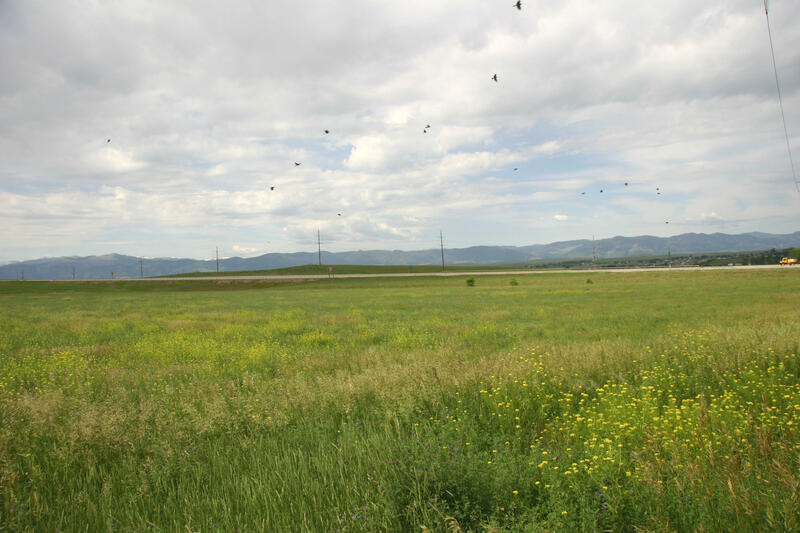 This is one of the biggest commercial properties in Sheridan having breathtaking views of the Big Horn Mountains and the valley of Sheridan. 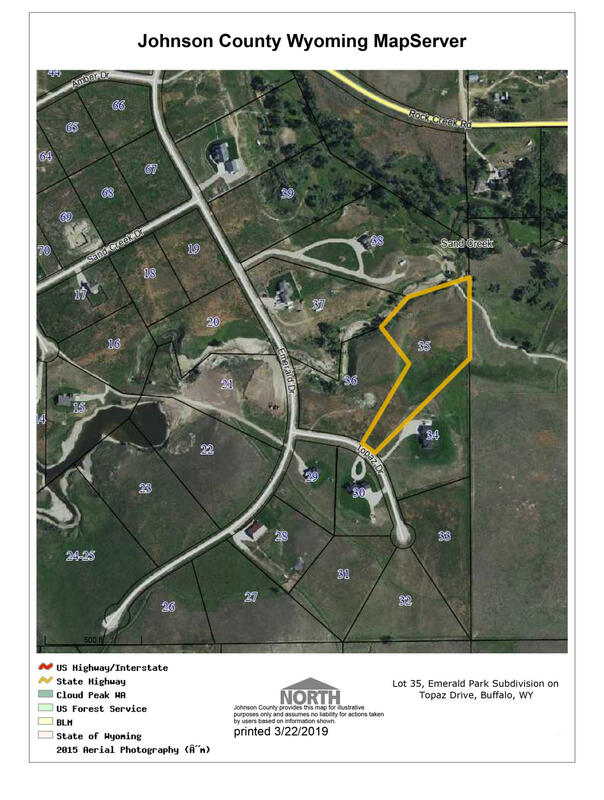 Located off Interstate 90, it has great access for any business needs. The possibilities are endless on this building site. Seller is related to the listing agent. All measurements are approximate. This is one of the bigger commercial properties in Sheridan having breathtaking views of the Big Horn Mountains and the valley of Sheridan. 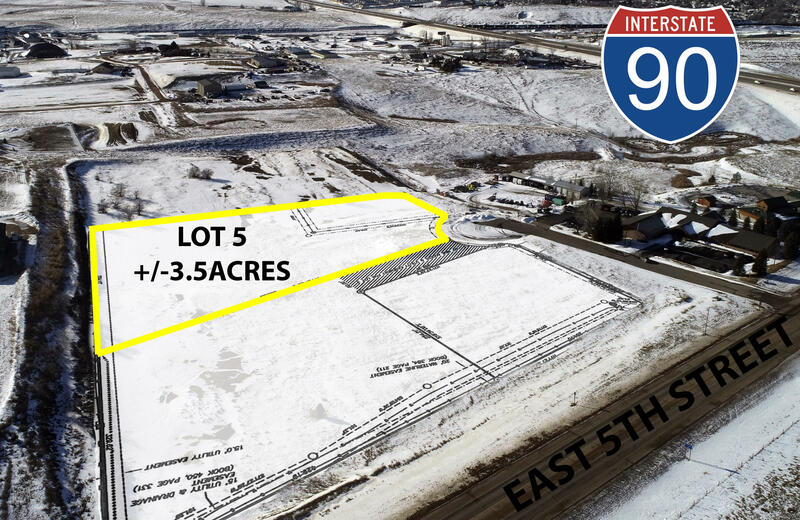 Located off Interstate 90, it has great access for any business needs. The possibilities are endless on this building site. Seller is related to the listing agent. All measurements are approximate.